Winter Quotes Top 10 List. Wonderful Quotes About Winter! 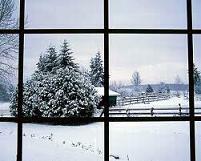 Here's a great collection of Winter Quotes and Quotations for you to enjoy. Whether you like this cold and snowy season or not...you'll love these incredible quotes about Winter. I'm sure you'll find a winter quotation that's just right for you. Enjoy these great quotes! Winter is nature's way of saying, "Up yours". There are only two seasons Winter and Baseball. I hope you've enjoyed this Top 10 List of Winter Quotations.